The face contains many of the vital parts that we need to interact with the world around us: the eyes and nose among the most important ones. Unfortunately, it’s generally considered the most vulnerable part of our body, which is why in many contact sports, especially the ones that involve some sort of combat, aiming for the face is a perfectly viable tactic. In sports, such as boxing or wrestling, one of the most hit, and therefore, most injured areas of the body is the jaw. There are many reasons for this. There aren’t usually protective headgear in these sports since they interfere with vision. A hit to this area is worth more points, or focused attacks on it can really disrupt your opponent. Whatever the reason, going for the jaw is something that these athletes will need to deal with. One of the many ways athletes deal with this situation—aside from learning how to dodge, of course—is wearing a boxing or wrestling mouthguard. It’s a relatively simple piece of protective gear that prevents the mouth and teeth from being injured, but there’s a lot of subtlety that goes into crafting one. For example, the fit is extremely important. While there are factory-made mouthguards that can be adjusted to some extent (think of your boil and bite varieties), these are made for protection, not comfort. Comfort can matter quite a bit in a professional match. 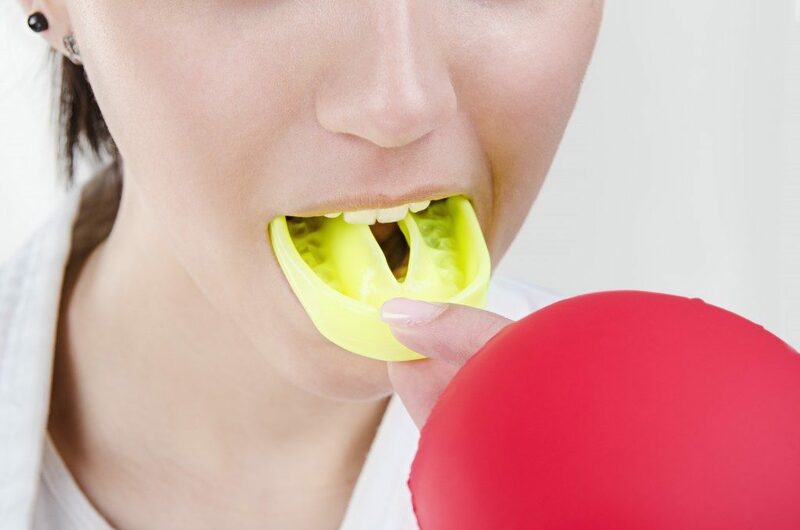 It allows the athlete to focus on the fight without worrying too much about either the quality of their mouthguard or how uncomfortable it feels in their mouth. That is why plenty of serious athletes get their mouthguards custom made. There are three ways of doing this, which can vary depending on the need of the athlete, the type of sport he’s playing, and of course, the budget. This type of mouthguard is a single-layer polymer, which is formed from the impression that the athlete sends to the lab. These mouthguards offer more protection than your usual boil and bite mouthguards, but aren’t built for comfort. On the other hand, pressure laminated mouthguards form a multi-layered polymer that can give a better fit and protection than vacuum form does. These mouthguards are often very expensive and are usually used by high-level professional athletes. These high-tech mouthguards are made from medical-grade thermo-polymers, which are activated by heat. They offer superior fitting compared to all other custom mouthguards, molding exclusively to the user’s mouth. It also allows them to eat, talk, and drink normally. However, they’re usually used for medical cases and not for sports. Aside from protection, the proper fit of a mouthguard is critical for other reasons. For example, an improperly fitted mouthguard can cause some long-term complications in the jaw, even if it isn’t being used for contact sports. Wounds and other mouth injuries can also occur if it doesn’t fit well inside the mouth. Whatever the reason, getting a secure, high-quality mouthguard isn’t something that should just be glossed over by anyone using them. The benefits of properly-fitted mouthguards are crucial to many sports today and are required by both law and tradition.